If you know how to do, just connect! If not, just read once the short explanations below then ... connect! Join the Chat Room, it's easy! Without the brackets, everybody knows that YOU ARE Donald Trump! 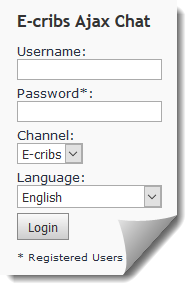 E-cribs Channel is public. It means that everybody can see what you write/wrote.